The Australian National Data Service (ANDS) High Values Collections (HVC) program has funded the establishment of an Australian seabed habitat classification scheme and spatial database, which we have named “Seamap Australia”. Seamap Australia represents a number of outcomes a) the collation of all national benthic habitat mapping data into one location on infrastructure provided by the Australian Ocean Data Network (AODN) complete with metadata records, b) the syntheses of these datasets into one spatial data product using a newly proposed national benthic marine classification scheme for the Australian continental shelf and c) visualisation capacity via a web interface of the Seamap Australia spatial layer including a sample of biological data overlays. The University of Tasmania has been well positioned to develop this spatial project. Previous IMAS projects like ‘SeaMap Tasmania’, ‘RedMap’ and ‘Reef Life Survey’ have generated awareness of what is possible when spatial data are made publicly available. We anticipate that Seamap Australia will enable national scale cross-disciplinary studies of continental shelf habitats. We hope that by bringing all of the marine habitat mapping data sets into one portal, and through highlighting the custodians of these data, that institutions are encouraged to work collaboratively to address nationwide solutions. We look forward to this High Value Collection (HVC #19) inspiring researchers to share their marine habitat data through the AODN into the future, so that as the resource grows, we can continuously improve our knowledge of our marine estate. For more information about Seamap Australia please contact Dr Vanessa Lucieer [vanessa.lucieer.at.utas.edu.au]. 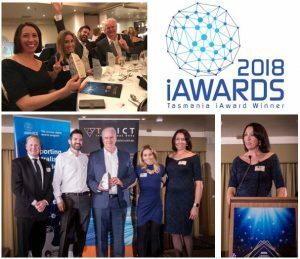 Seamap Australia was honoured with two industry accolades at the recent Tasmanian iAwards 2018 ceremony. The project won the ‘Big Data Innovation of the Year’ and ‘Public Sector and Government’ categories at the state event, which is part of the Australian Information Industry Association (AIIA) iAwards, the nation’s leading awards program for innovation in the digital economy. The project will now compete in the National iAwards on the 31st of August 2018 in Melbourne. We would like to acknowledge all of our collaborators for their contributions to making the Seamap Australia project possible. 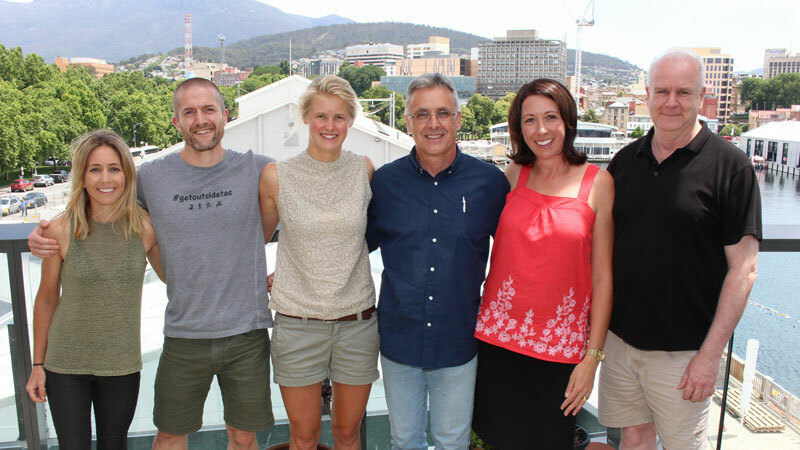 Top Left: Dr Vanessa Lucieer, Dr Emma Flukes, Mr Oliver George and Mr Peter Walsh. Bottom Left: Receiving the award on behalf of all Seamap Australia collaborators. Bottom Right: Dr Vanessa Lucieer acknowledging the impact of open data principals for society.